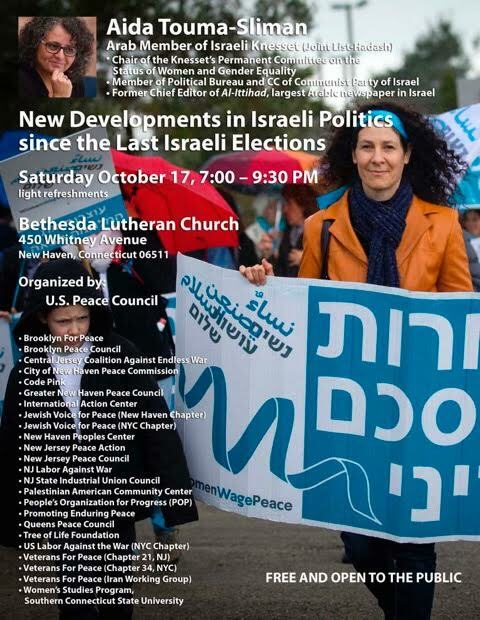 The U.S. Peace Council has organised a speaking tour in the U.S. from October 14-17. 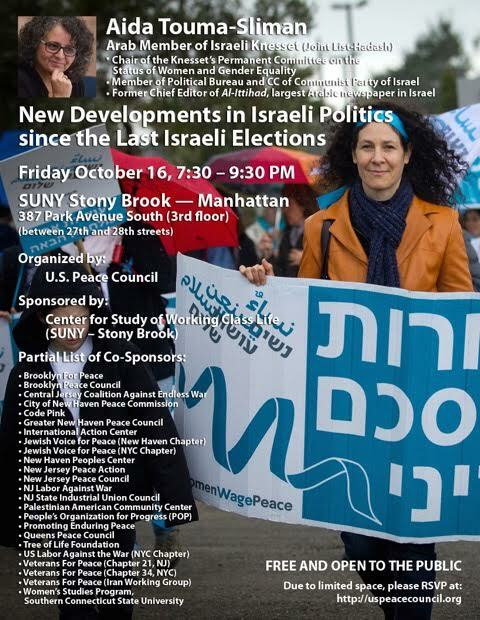 Palestinian member of the Israeli Parliament (the Knesset), Aida Touma-Sliman will address the public in New York City and New Haven. She is also a member of the Peace and Solidarity Committee of Israel.